Food prices in Turkey have been soaring since the lira's sharp, violent depreciation last summer. The rise in prices is not only a result of the currency's depreciation which made the Turkish lira one of the worst performing currencies in the world, but is also a result of price gouging that has become a self-fulfilling prophecy, feeding on itself, over the last 6 months. These soaring prices haven't gone unnoticed by the Erdogan regime, and instead of focusing on the underlying economic deterioration, the Turkish government has instead started targeting vendors who raise prices, labeling price gougers "traitors" and "terrorists". 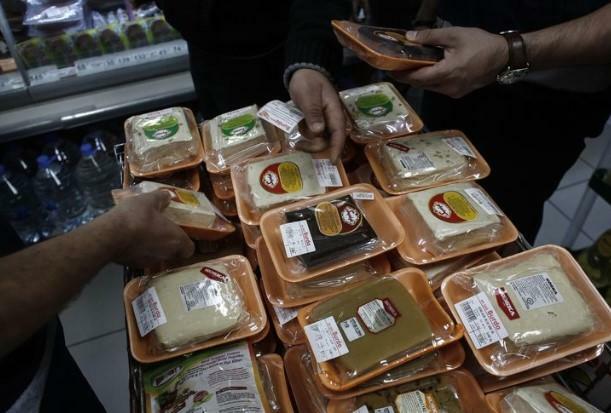 But this rhetoric isn't working, so Erdogan is backing up threats with fines: and so, the Turkish government has started cracking down and issuing fines after raiding wholesale food markets in five provinces on February 6, uncovering exorbitant price increases of up to 800%. 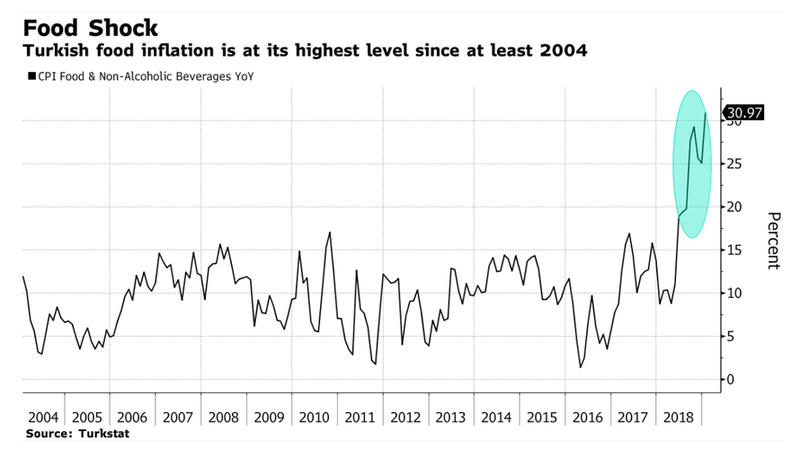 "The inflation reduction campaign is perceived to distort relative prices and to be unsustainable," a recent Bank of America report read. One potential wild card: municipal elections in Turkey are just two months away and the fight against inflation will be the hallmark issue, as surging food costs have disproportionately hit poorer sections of the 82 million people that live in Turkey - many of whom have traditionally been supporters of the President's party. In taking the fight to local areas and warehouses, President Erdogan is trying to make a statement that he is going to fight inflation with the same vigor that the country has used to defend itself militarily in the past. In fact, this being Erdogan, it is probably not a surprise that the Turkish president compared food producers and retailers to terrorists. Erdogan said Sunday: "The government will finish off those terrorizing wholesale food markets in no time, the way it finished off those terrorists in caves." Of course, since none of the government's actions will have any tangible impact, it is only a matter of time before social discontent hits a plateau, and what until recently has been the most stable middle-eastern regime suddenly finds itself scrambling to preserve control. In fact just yesterday, the first hints of instability emerged, when during Erdogan's first election rally, voters interrupted the Turkish president demanding job contracts. His reply: "Dont expect anything from us. We gave everything. Don't provocate. I'm not an ordinary leader." We soon may find out just how extraordinary Turkey's freshly-heckled leader truly is.